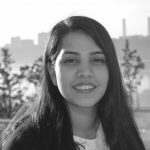 Mashal Basir is a graduate research assistant with the CPC Learning Network. She is a second-year MPH student in the Department of Population and Family Health with a Certificate in Public Health Research Methods. She grew up in Pakistan and completed her undergraduate degree at Northwestern University in History and Global Health. Mashal worked with the Aga Khan University to conduct a systematic review of maternal and child health in conflict areas of Pakistan to implement better emergency obstetric and neonatal care services in rural areas. After graduating, she moved to Pakistan and joined Interactive Research & Development (IRD) to initiate a diabetes pilot for community-based screening, diagnosis and treatment. She then went on to manage programmatic cohort reporting of multi-drug resistant (MDR) TB patients at a large tertiary care hospital. Prior to beginning her MPH, she worked in health technology, gathering software requirements from TB program teams to improve screening algorithms and build an electronic medical record system. For her MPH practicum, she worked with the CPC Learning Network conducting qualitative interviews and focus groups in Harrisonburg (VA) and Austin (TX) to assess the mental health and psycho-social well-being of adolescent Arab refugees from Syria, Iraq and Sudan, who recently resettled to the U.S. Mashal is excited to continue working with the CPC Learning Network to enhance her knowledge on issues around child protection, forced migration and vulnerable populations.